From our office in Clayton, Missouri, the law firm of Waltrip & Schmidt, L.L.C. serves the entire St. Louis metropolitan and surrounding areas in a variety of fields, including civil litigation, family law, estate planning and disputes, and business transactions and litigation. Our attorneys provide personalized legal advice and advocacy backed by over 50 years of combined experience practicing in Missouri and Illinois and throughout the United States. Waltrip & Schmidt, L.L.C., combines the practices of two highly skilled lawyers. 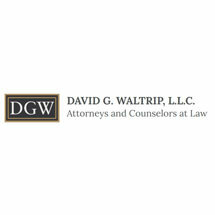 For more than 30 years, David G. Waltrip and our other attorneys have assisted clients as civil litigation attorneys. He has successfully represented clients in a wide range of civil matters, including commercial/civil litigation, domestic relations, personal injury and military/veterans' legal affairs. He represents clients in family law matters like divorce, including military divorce. Known in the St. Louis legal community for his tenacious representation of his clients' legal needs, David will endeavor to effectively represent your interests. Frank J. Schmidt specializes in estate and trust planning, as well as litigation representation in those practice areas. Frank and our other attorneys also represent lenders, business owners, and real estate developers in a wide variety of transactions and disputes. Contact Waltrip & Schmidt, L.L.C., for thorough and effective legal representation.